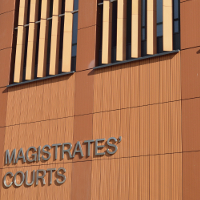 On Friday 29 March Mr Shamin Uddin former director of SAS Training Academy of Telford, Shropshire, was sentenced at Shrewsbury Crown Court to eight months’ imprisonment for falsifying examination papers for individuals seeking to get a Security Industry Authority (SIA) licence. He is also required to pay £2,000 court costs payable within 12 months. “Is particularly serious because it strikes at the heart of the (licensing) system … using training to deal with members of public. Organisations rely upon staff they believe to be properly trained to deal with those situations. The public needs to have confidence in those that work within the security industry. The BIIAB originally investigated SAS Training Academy Ltd’s premises in June 2015 after finding evidence of training malpractice. BIIAB suspended SAS Training Academy, withdrew their certification, and referred the complaint to the SIA. The SIA reviewed the qualifications of more than 270 people who had been submitted for a qualification by SAS Training Academy. The SIA satisfied itself that all learners had obtained alternative training with other providers. The SAS Training Academy course which was highlighted as a concern did not result in the issuing of any SIA licences. In June 2015 the BIIAB became concerned about the examination paperwork presented to them by SAS Training Academy. BIIAB verifiers found no candidates present at SAS Training Academy’s operations in Barking, Essex. The alleged exam room was too small to fit the number of learners whose details had been provided by BIIAB as attending for examinations. In the same month, the BIIAB made an unannounced external quality assurance visit to SAS Training Academy offices in Wednesbury. Investigators discovered that the correct answers had been highlighted on some exam papers in order to help candidates. The awarding organisation had also became aware that candidates’ details were being changed at very short notice when the papers were submitted to them. In addition, SAS Training Academy were submitting examination paperwork to the BIIAB on photocopied sheets. A trainer was interviewed regarding courses he allegedly provided on behalf of SAS Training Academy. He confirmed that he had not conducted the training, and disputed that it was his personal details and signature on the paperwork submitted. At other venues false details of alleged learners’ names had been added to examination paperwork. SAS Training Academy Ltd ceased operating in December 2016.